Any woman who travels knows that no matter how careful you are, sometimes things just don’t go according to plan. This can be nerve-wracking, but it can also be unexpectedly enlightening if you allow yourself to learn from it. 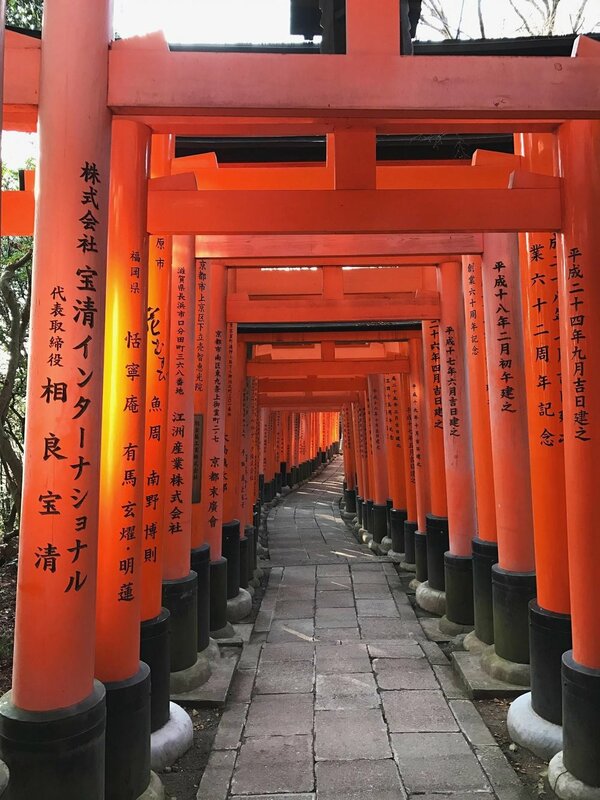 Halfway through my trip across Japan, I stopped in Kyoto to see the famous Fushimi Inari Taisha. 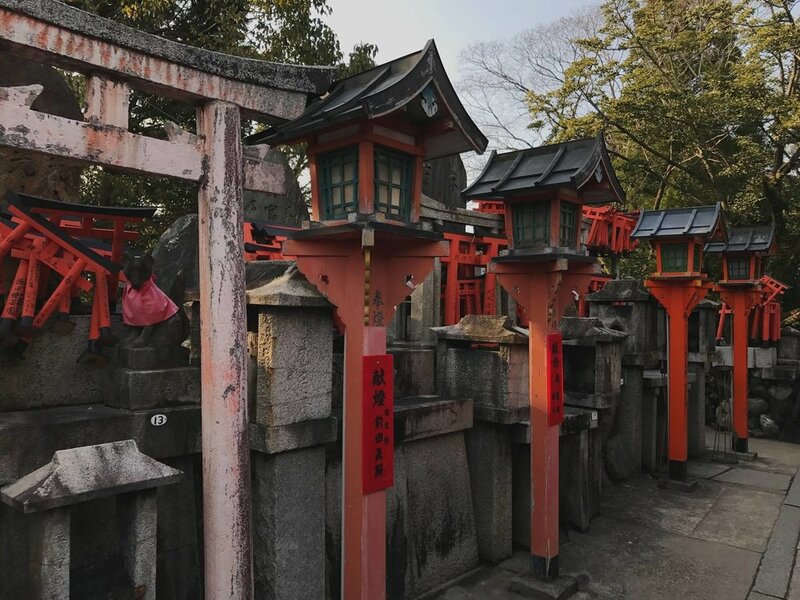 This large shrine on Mount Inari is known worldwide for its strikingly beautiful fox idols and 10,000 red torii (gates). I intended to take the main route up to the highest point of the mountain, which is a paved path that follows the trail of gates. The main trail was gorgeous, basking people in a vermillion glow as they ambled through. However, it quickly grew too crowded for me to move forward, so I pulled off to the side and checked my map for an alternate route. I decided to take a different path that veered off to the side and re-joined the main trail higher up the mountain. Right away, this route was quieter and steeper. A vast bamboo forest ran along the incline, and the voices of the tourists faded. I reveled in the stillness as I hiked further and further up the dirt trail. I must have been in a trance, because I didn’t notice that I was on the wrong path until half an hour later. I didn’t think anything was wrong until I came upon an ancient grave site. The headstones were covered in moss and their inscriptions were worn away, as if they had been untouched in this hidden spot on the mountain for years. I couldn’t hear voices or see the gates anymore, only silence and graves. I realized then that I had taken a wrong turn somewhere, and that I was completely alone. It wasn’t the smartest decision, but instead of turning around, I pushed on. I had food and water in my backpack, and I knew enough Japanese to ask for help if I encountered another human. 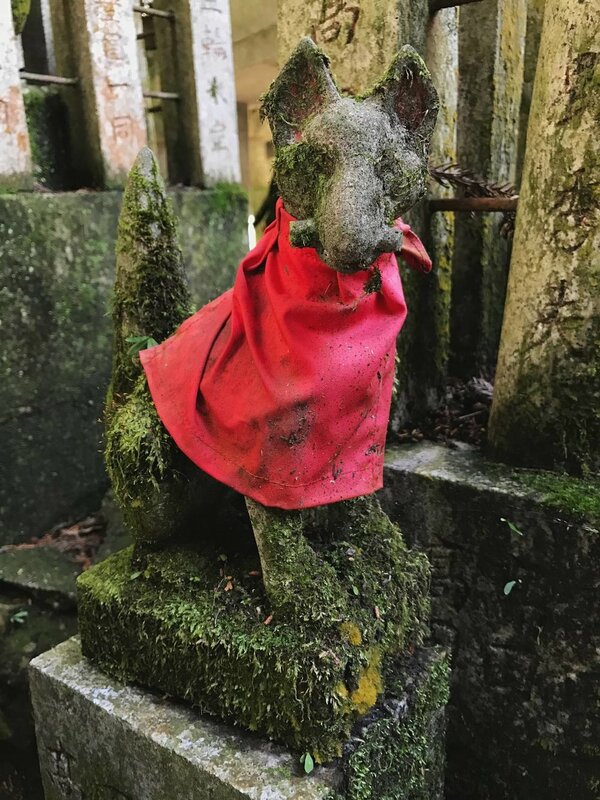 This was one of the most famous shrines in Japan, so I figured I would inevitably meet someone on the way up. So, though the trail grew increasingly steep and isolated, I trudged on. This quiet side of Mount Inari ended up being breathtaking. Birds flew among the trees of the forest, singing melodies in perfect harmony. Cool water trickled into sacred waterfalls. Moss grew over everything, like it was reclaiming the land. I felt as if I was in another world, like a forest spirit would pop out at any moment to tell me that I didn’t belong here. I didn’t encounter any forest spirits, but I did meet a group of Japanese hikers about an hour later. They were on their way down, decked out in mountain climbing gear. They looked at me in my ill-prepared casual boots, smiled, and wished me good luck. I would need that luck, as I was about to reach the steepest section of the trail. This incline was absolutely brutal, even for a regular hiker like me. My feet and lungs were on fire, burning hotter with each step up the seemingly endless mountain. I’m not a religious person, but I found myself pleading with the fox idols to please let me reach the peak soon. After what seemed like hours, I raised my head and saw a red gate sitting on a plateau. I nearly cried as I crossed under it and into the small shrine on the peak of Mount Inari. Other tourists stared at me, probably wondering why I looked so disheveled, but I didn’t care. It took half a day, but I made it! I took my sweet time at the top, admiring the panoramic view of Kyoto below me and reflecting on my journey. 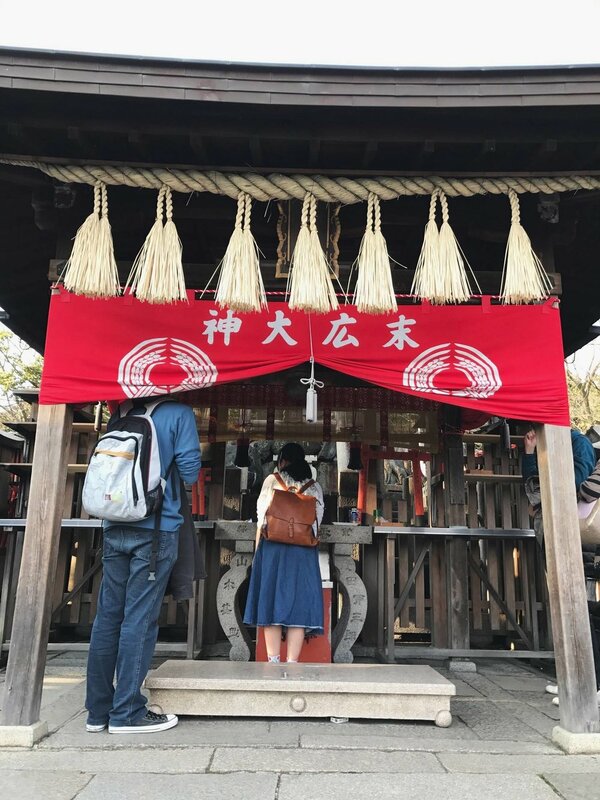 Although it was a grueling hike, what stuck out in my mind were all the sights that most of the other shrine visitors completely bypassed. Instead of strolling through the gates with a herd of tourists, I got a whole mountainside to myself. I had the privilege to bask in its tranquility and discover its hidden nooks and crannies. 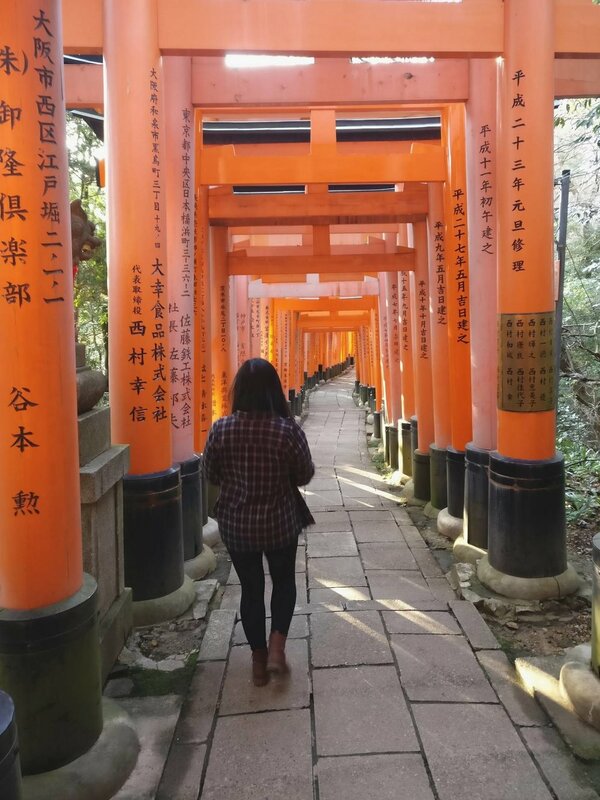 Mount Inari had taken me off the beaten path and given me a much greater gift than I could ever ask for. Since then, I try to be more appreciative of mistakes inside and outside of my travels. Yes, they can be terrifying, but they can also teach you so much about the world around you. Instead of freaking out every time something goes wrong, I now embrace the new lesson life is trying to teach me. After all, there's more than one way to learn, to experience the world, and to achieve your goals. Open your mind and let these unexpected joys into your life. It’s worth it, I promise. Kiana is a writer and traveler in Seattle, WA. She spends most of her free time traveling, studying foreign languages, and cuddling with her cats.